Due to the compatibility issue, the open-source MKV is asked to be converted into MP4 format so as to have the file played on more modern devices and media players. In view of high demand for cost-free solution, here we will explain how to free convert MKV to MP4 using VLC in detail. 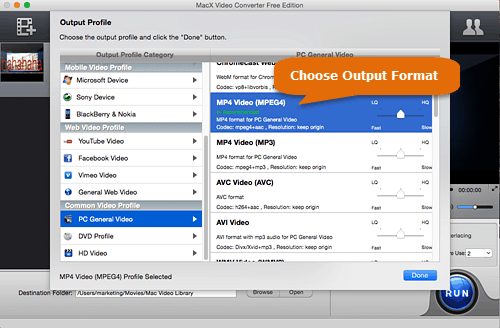 MacX Free MKV to MP4 Converter can freely transcode any video to any format, incl. MKV, MP4, H264, MTS, WMV, MOV, etc and allow you to adjust parameters such as bit rate, codec, frame rate, aspect ratio, resolution, and more with high video quality and small file size. Step 1: Go to VideoLAN homepage and free download VLC. Step 2: Click the Media tab -> Convert/Save to launch the Open Media window. Step 3: Click Add button on the File tab to locate the MKV to be processed on your computer. Or drag and drop the MKV file into the list. Then press Convert/Save button. Step 4: Choose output format. If you need to freely transfer MKV to MP4 in VLC, just select the profile H.264+MP3 (MP4). Step 5: So on setting adjustment. Tap Setting icon next to it to select MP4/MOV at Encapsulation tab. Click both Video and Keep original video track on Video Codec tab. Select Audio and Keep original audio track on Audio codec tab. Then click Save button. Step 6: Press Browse to select the output folder where you want to save the MP4 file. Step 7: Click Start to beginning the conversion from MKV to MP4 in VLC. There are many problems with VLC if you hover around the VideoLAN forums. For example, the output MP4 file contains only the audio track while the video is mission with a black screen left or there is no audio after the conversion from MKV to MP4 using VLC's Convert/Stream function. What's more, the VLC crashes but no error messages show up during MKV transcoding or it closes immediately or right when it's finished but the resulting file is unplayable in VLC with a message "Ooops: VLC media player just crashed. VLC is free and open source media player featuring ability to process media files into various supported formats. But its converting feature is limited. 1. MP4 doesn't support certain streams that MKV does. For instance, if you transcode MKV encoded with x265 codec to MP4 while maintaining the existing codec, there will be problematic such as no video since x265 is not supported in MP4 container, so you have to transcode the MKV video to MP4 x264 using VLC or alternatives. 2. VLC is unstable. The VideoLan forum indicates that the transcoding in VLC such as MKV video to MP4 conversion is somehow broken in recent builds of VLC and its forum suggests you to use its older version or wait for a fix, with the help of other video processing programs like FFmpeg. 3. VLC requires codec settings for specific formats. If you choose an incompatible stream for a given muxer, VLC may fail. So it isn't easy for beginners. 4. Please navigate to Tools from the main menu, go to Track Synchronization, and modify the Audio track synchronization setting to solve the audio delay problem in VLC. One-stop solution to fix VLC audio video sync error. There are many other errors with VLC during conversion. VLC doesn't support Real format, needs some UI improvement as its skins are unlikable, and it is prone to be malware infection during installation. So to steer by all the above errors with VLC, it's time to try some trustworthy alternatives. 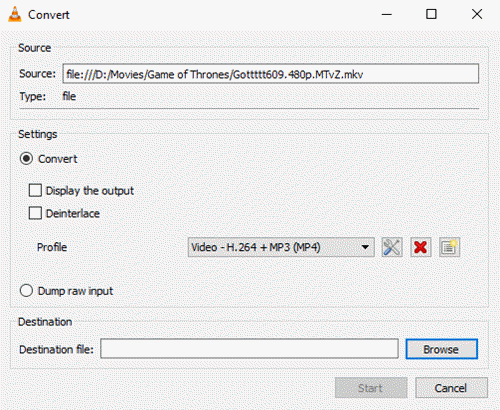 Below is going to share one of best VLC alternatives, dubbed MacX Video Converter Free Edition. Scroll down to see how the alternative to VLC gets the job finished trouble-free. MacX Video Converter Free Edition is known for fast, safe and extremely user-friendly. It is the best free MKV transcoder for Mac and Windows, featuring the ability to switch among HD and SD videos, e.g. MKV to MP4, VOB to WMV, YouTube to MP3, H.265 to H.264, MTS to MP4, MP4 to MP3, AVI to iTunes, etc, so that you can play any video on iPhone, iPad, Apple TV, HTC, Samsung, PSP, etc while keeping original quality and delivering a super fast converting process. Step 1: Click Add Video button on the main interface to load MKV video to be processed. It also support batch transferring MKV videos to MP4. Step 2: Go to General Video profile and choose MP4 Video from the pop-up window. Optional: You can adjust the setting to upper the video quality or fasten the MKV to MP4 processing speed. But we suggest you keep the setting unchanged, as the output profile manages a perfect balance between the output quality and file size. Step 3: Tap Browse to save the output MP4 video and click RUN to start changing MKV to MP4 with the VLC alterative. 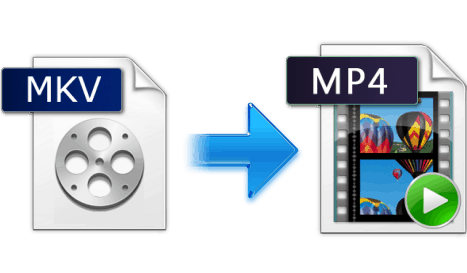 The free MKV to MP4 converter is developed to support converting MKV files to general video formats, while its advanced version MacX Video Converter Pro comes to unlock the input files and support convert almost all videos. Besides, its readymade 410 device profiles are helpful if you need to transcode MKV to specific mainstream devices directly, ranging from iPhone 7, Samsung Galaxy S7, to PS4, Chromecast, etc. Free download the best free MKV to MP4 converter - MacX Video Converter Free Edition to easily convert among HD and SD videos, e.g. MKV to MP4, VOB to WMV, YouTube to MP3, H.265 to H.264, MTS to MP4, MP4 to MP3, AVI to iTunes, etc for playback on iPhone, iPad, HTC, Samsung, PSP, etc.